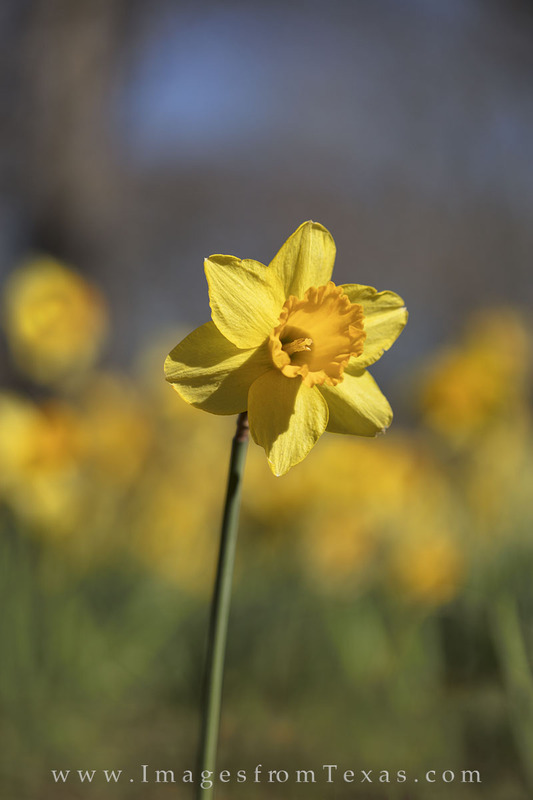 A golden daffodil stands along in the February sun. These beautiful wildflowers bloom each February near Gladewater, Texas, but the delicate petals only last for a few weeks. Photo © copyright by Rob Greebon.